Map out your journey first! Planning a road trip is actually way more difficult than it seems. 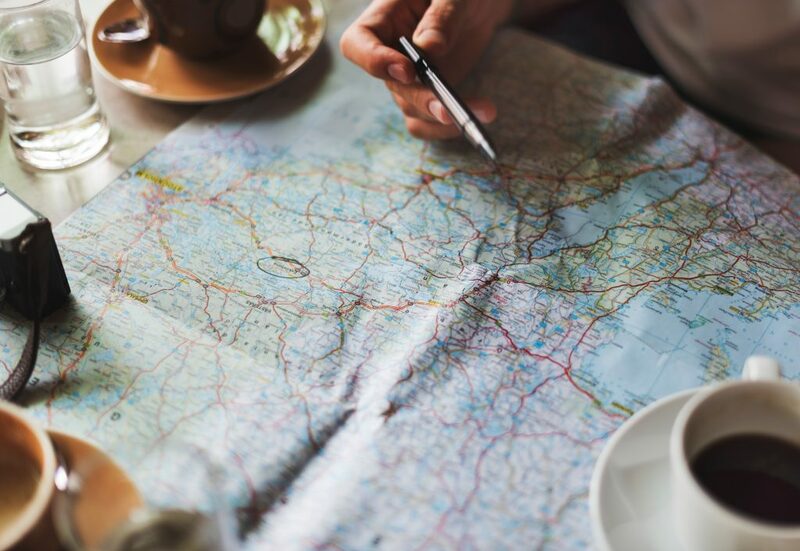 If you’re into road trips for long-term and your time is flexible, then all you need is your maps, your suitcase, some money, some bedding, and you are a go! I know some friends who road-tripped to Italy did just that last year. They figured out a rough timeline, a loose itinerary and just went off on their own. They even slept in their cars or at tiny beds and breakfasts. If you have that kind of time, then this sort of planning would work out best. To save on accommodation, you can always choose to carry some camping gear with you. Make leeway in your plans for unforeseen delays and make way for unexpected costs like changing a tire as well as gas. Depending on how long your road trip is, you need to do a cost-benefit analysis of whether you need to take a car on loan or lease. Please note these are two very different things. You can check this car lease calculator to figure out what would work for you. Another important factor amongst the things to consider before going on a road trip is to make sure that your car and travel insurance is actionable in the area that you are doing the road trip. Read all terms and conditions clearly before embarking on a trip. Use an external insurance advisor if necessary. Do you have any friends who have taken a similar or same trip? As they say, the best teacher is truly experience. Ask them for tips that will help you navigate your way around the cities. Making sure that all the seatbelts in your car work. Have adequate snacks and water for the road (because, let’s face it..food is liiiife and you don’t wanna be a hangry driver). Saving all emergency service numbers, including: recovery service, police, rental company, etc. Don’t film or use Instagram while driving. Please. Understand which side of the road to drive on! Most Commonwealth countries drive on the left side of the road. Take turns with your partner while driving. Is there a language barrier? Carry some basic phrases with you for asking directions. Don’t leave anything in your car! We were taking a train once from Prague to Budapest, and even then some gypsies were trying to rob us! I recommend stopping for a night and carrying an extra lock for your belongings while you stop by. There you have it, all the things to consider before going on a road trip! Do you have any extra tips you’d like to share?